To commemorate the second anniversary of Surgical strike conducted by the valiant soldiers of our armed forces protecting the borders of our motherland, ‘Parakram-Parv’ was observed at St. Soldier with a patriotic fervor. 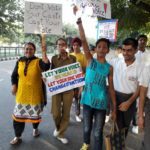 A series of activities were organized which included writing letters and cards to the Armed Forces. 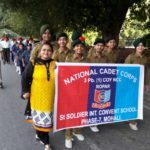 A special parade ceremony by NCC cadets, Boy Scouts and Girl Guides was organized to pay a tribute to the selfless, unconditional dedication and service rendered by the Defense Forces to the nation. 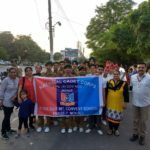 A pledge was also taken by the students including NCC cadets with full enthusiasm expressing their solidarity and support to the Armed Forces. The principal of the school Ms. Anjli Sharma delivered a motivational lecture to apprise the young minds about the gallant action of Surgical Strike by the Indian Army which aimed to dissuade inimical adversary from adopting the path of violence and to ensure an environment of peace.